Just as technology has completely transformed how we access and share information at home and at work, it has also changed how we share information and collaborate in the boardroom. But board materials are often confidential and highly strategic – making many online tools and apps insufficient for the job. 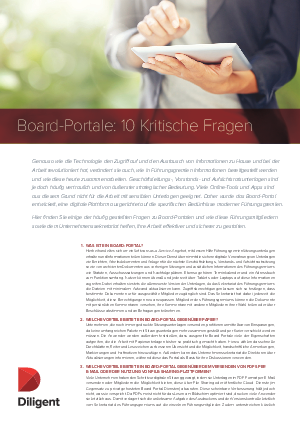 This need has given rise to the board portal, a digital platform designed to handle the demands of today’s boards.